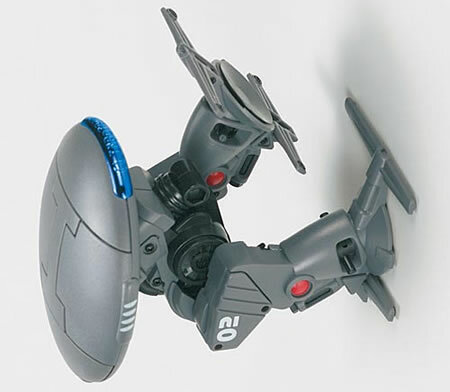 Previously we’ve reported on the wall climbing car, r/c cars are so passée, so welcome the window climbing robot. The Climb@Tron looks like one of those old wind up toys, however it’s a tad more advanced. It has suckers for feet so it is able to walk up smooth vertical surfaces and when it gets to the top it, errr, walks back down, exciting or what! Check out the video. Climb@Tron is available from Amazon for $9.50, hat tip to Geek Alerts and Red. Lol I still have this! I just found it. Bought mine at the museum of science and industry in manchester!